A stroke is a loss of blood flow to a certain part of the brain. The resulting damage depends on the location and extensiveness of the stroke. A stroke to the left side of the brain will affect cognitive, motor and sensory areas. Language, thinking, behavior and physical movement can be impaired. Stroke is the third most common cause of death and is the main cause of disability among adults. 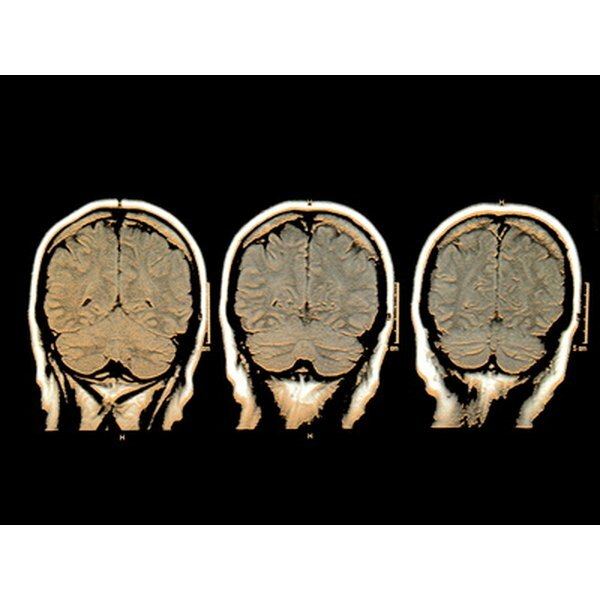 For most people, the primary language center is located on the left side of the brain. The American Stroke Association explains that a stroke in this area can cause either temporary or permanent impaired language ability. Not only can a person’s speech ability be affected, but the ability to read and write as well. Aphasia, the inability to use or comprehend language, agraphia, difficulty with writing words, and alexia, difficulty with reading, are all possible effects of a left-sided stroke. Donna D. Ignatavicius, MS RN, and M. Linda Workman, Ph.D., authors of “Medical-Surgical Nursing: Critical Thinking for Collaborative Care," explain that the centers for analytical thought and intellectual reasoning are located in the left hemisphere of the brain. Patients who suffer a left-sided stroke may experience memory deficits. Intellectual impairments make it difficult for the stroke victim to carry out simple tasks of daily living such as completing money transactions, travel plans or paying bills. If a left-sided stroke affects a motor center, the person will have right-sided deficits because motor tracts cross in the brain. He may experience hemiplegia, which is paralysis on one side of the body, in this case the right side, or hemiparesis, which is weakness on one side. Other motor impairments could be hypotonia, a loss of muscle tone. The opposite can also occur in the form of hypertonia, or spastic muscle movements. A person who has suffered a left-sided stroke tends to be slow and cautious. Stressful situations can easily bring on anxiety, frustration and anger. Depression can become a serious problem for left-sided stroke victims. Several sensory impairments can result from a left-sided stroke. The visual field can be affected, with deficits occurring in the right visual field. A patient may have ptosis or drooping of the right eye lid. She may also have hemianopsia, blindness in half of the visual field, if the stroke affected blood flow to the retina. Patients may be unable to properly identify or use objects normally. This condition is called agnosia. Trying to perform a purposeful task such as picking up a phone can become difficult or impossible. Carrying out normal daily activities is greatly impaired due to these sensory deficits.